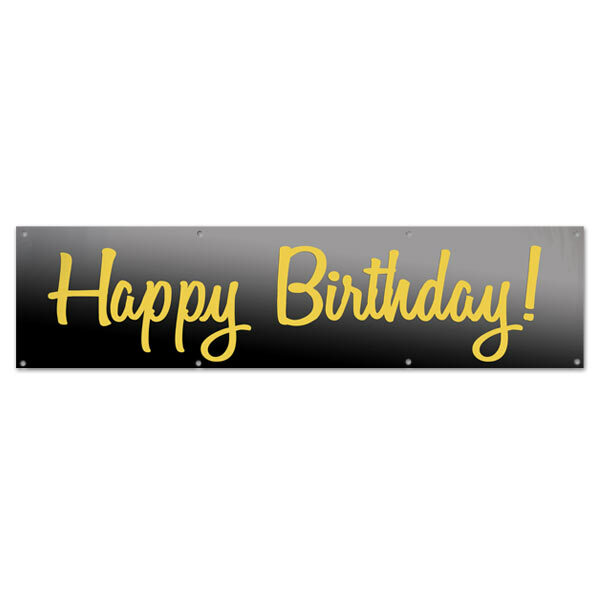 Our birthday banner is printed with a black background and contrasting gold text for an elegant, festive look! If you're in the midst of planning a birthday celebration for a friend or family member, you can't forget about your party decor. Our vinyl stock banners don't need any customization. 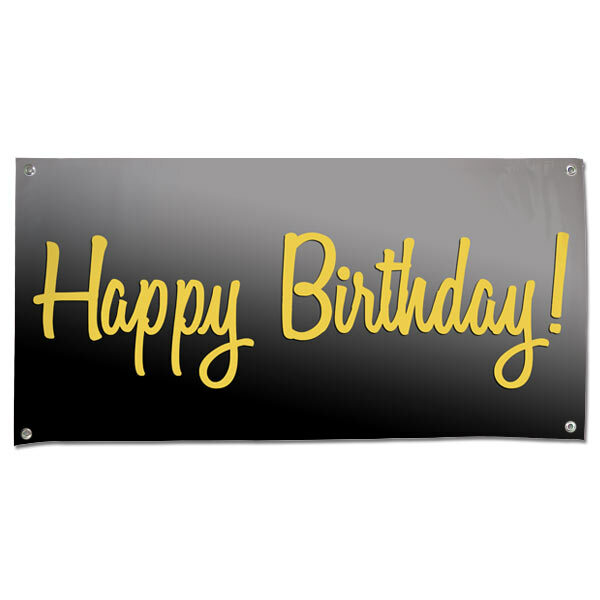 Just select a size, place your order, and hang it indoors or outdoors the day of your festivities! We also offer banners with pictures on them that you can design yourself! 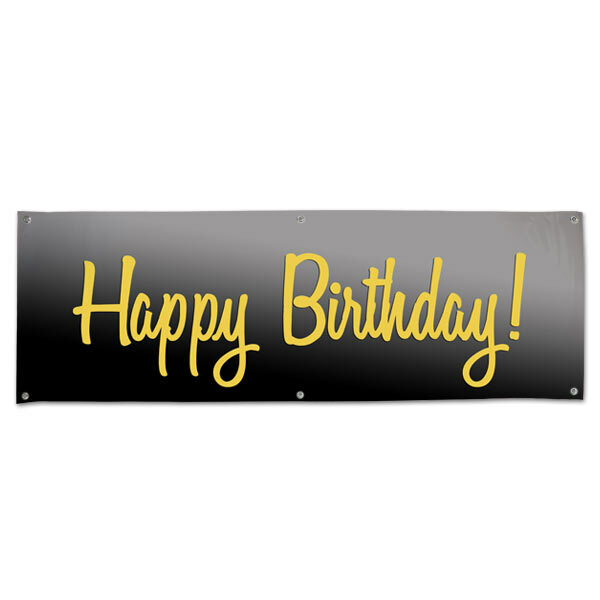 Our vinyl party banners can include pictures, text, or your can upload your own graphic to compliment the style and decor of your party.